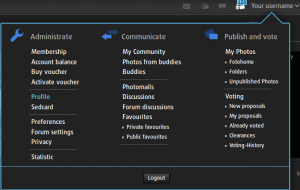 Today we would like to show you a little fotocommunity feature you might not know. 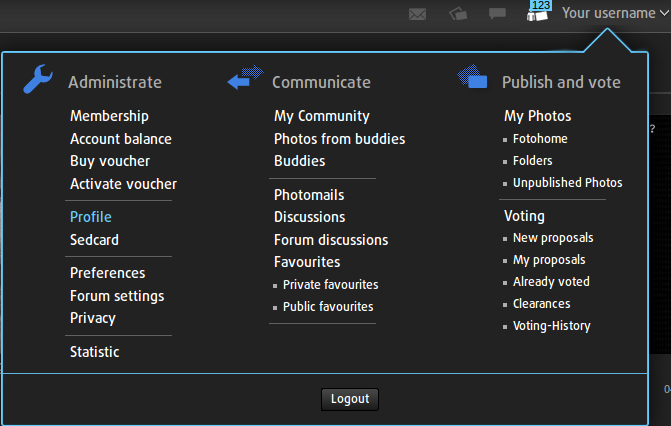 2) Click on the option “Profile” – your fotocommunity.com profile will be shown..
We hope that this features help you to show your profile visitors how much experience you have in photography! If you have any feedback please don’t hesitate to write a comment or contact our support! This entry was posted in In- and outside .com and tagged development,experience,feature,fotocommunity users,news.